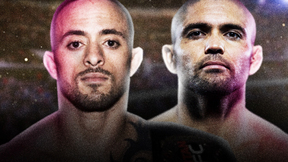 UFC® FIGHT PASS™ -It's On! 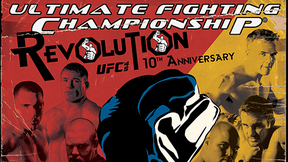 And fight fans yelled to the Heavens, “FINALLY!” At UFC 47: It’s On!, the UFC light-heavyweight championship belt was not on the line, but it sure felt like it as former champ Tito Ortiz, finally, entered the Octagon against Chuck “The Iceman” Liddell. 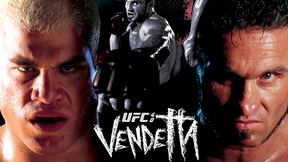 Chuck Liddell vs Tito Ortiz UFC 47 Fri, Apr 2, 2004 (3:33) It was the grudge match to end all grudge matches. A packed house saw Chuck Liddell and Tito Ortiz finally get it on in the main event of UFC 47 after months of Tito avoiding to sign the fight. 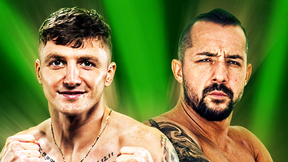 Yet after only five minutes and 38 seconds, it was 'The Iceman' who was left standing, as he emphatically stopped the former light heavyweight champion in the second round. 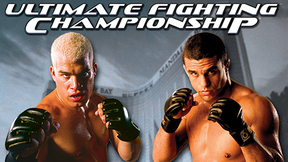 Chris Lytle vs. Tiki Ghosn UFC 47 Fri, Apr 2, 2004 (16:38) You don’t see many fights end like this! In a welterweight tilt, pro MMA fighter & pro boxer Chris “Lights Out” Lytle squared off with Tito Ortiz’s teammate Tiki Ghosn in match-up of Octagon vets who were still searching for their first UFC win. 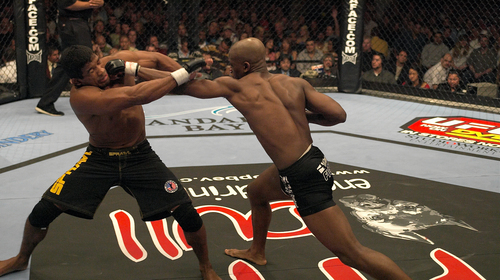 Yves Edwards vs. Hermes Franca UFC 47 Fri, Apr 2, 2004 (27:48) An amazing turn of events as UFC lightweight Yves Edwards went 0-2 inside the Octagon before going 4-0 and the “Thugjitsu Master” put his win streak to the test against BJJ blackbelt Hermes Franca who wanted to rebound following his first career loss. 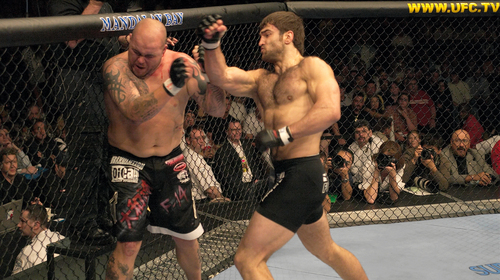 Andrei Arlovski vs. Wesley Correira UFC 47 Fri, Apr 2, 2004 (19:08) Both of these heavyweights were enjoying back-to-back KO/TKO wins inside the Octagon as the unstoppable force of Sambo specialist Andrei “The Pit Bull” Arlovski met an immovable object in the hard-headed brawler Wesley “Cabbage” Correira. 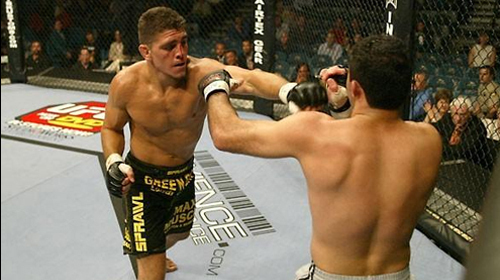 Mike Kyle vs. Wes Sims UFC 47 Fri, Apr 2, 2004 (16:28) After back-to-back defeats to Frank Mir, the 6’8” Wes “The Project” Sims entered the Octagon looking to get back on the winning track and in his way was debuting college football player turned American Kickboxing Academy’s KO punch throwing Mike Kyle. 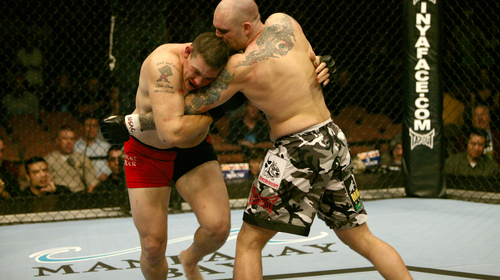 Jonathan Wiezorek vs. Wade Shipp UFC 47 Fri, Apr 2, 2004 (14:31) Debuting heavyweights collide as undefeated Jonathan “Lock and Load” Wiezorek, who had won all 5 of his pro bouts by submission, stepped into the Octagon to square off with the 4-1, Muay Thai striker “Nightmare” Wade Shipp. Genki Sudo vs. Mike Brown UFC 47 Fri, Apr 2, 2004 (12:51) Looking to bounce back from his first UFC loss, Japanese star Genki “Neo Samurai” Sudo returned to Octagon action a year removed from his last appearance to his submission skills against debuting collegiate wrestler turned 9-1 MMA fighter - Mike Brown.